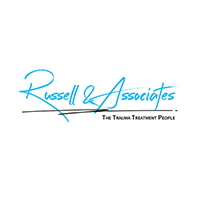 Dr. Don Russell and the counselling therapists at Russell Counselling are passionate about helping people get the obstacles out of the way so they can live the flourishing, free lives they were meant to live. Each of the therapists are good listeners, so they'll 'get' what you want to change in your life. Then they will work with you to lay out some possible strategies to bring that change to life. Dr. Don and the counselling therapists have years of experience helping people just like you. They all have deep and broad knowledge and experience to bring to the challenges you're facing today. Maybe even more important, they care. For each of the counsellors, therapy is what they love to do, because they love to see healing change come about. They also know that gentleness and a little humor along the way can make the hard work seem more doable. Review the skilled, professional counsellors that work in our two locations and get in touch today! Why wait. Dr. Don Russell is a respected leader in the field of psychotherapy in Canada. Don specializes in treating the emotional and psychological effects of trauma, such as violent crime, workplace injuries and trauma in one's developmental years. Don has experience treating chronic stress, chronic pain and helping people reach and maintain healthy weight. Don uses a variety of techniques including EMDR, hypnotherapy, & Emotional Freedom Technique to help clients harness psychological resources to bring meaningful and lasting relief and healing. Shanna Kelly in our Winnipeg office views each client as a unique individual with a story and a context. Shanna has training in EMDR (Eye Movement Desensitization and Reprocessing). She has experience working with depression, anxiety, family and peer relationship issues, stress related to life transitions, and trauma. Shanna has appointments on Tuesday evenings, Thursday afternoons and evenings, as well as daytime appointments on Fridays and Saturdays. For more on Shanna check out her website here! Booking an appointment is easy just click here.